Take the Euschelspass to Jaun, the only German-speaking village in the La Gruyère area. There, you can admire the magnificent waterfall fed by water from the Vanil Noir. The walk continues in the impressive and sumptuous landscape of the Gastlosen to the Chalet du Soldat. 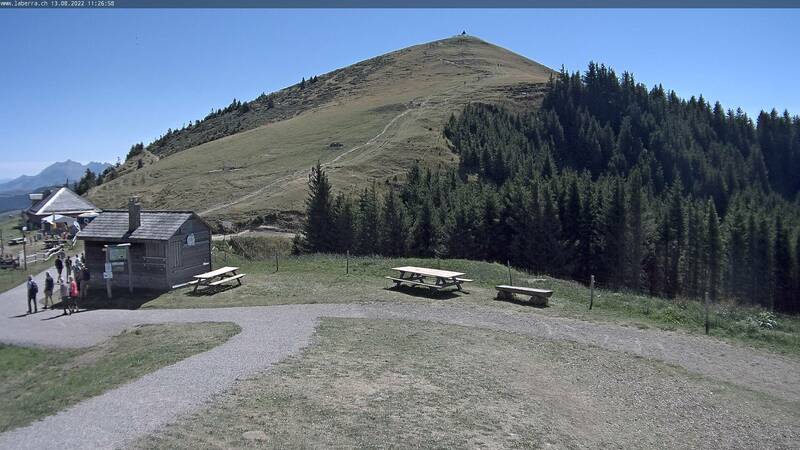 From the Saint Antoni Brecca hut, the path heads up the side of the mountain, below the summit of the Spitzflue, to the Stirenberg pasture at point 1416. It then leaves Breccaschlund, heading towards the Euschelspass, after crossing the Euschelsbach stream. On thepass – a reminder of ancient glacial formations – you will find the Ritzlialp hut, where you can get something to eat. The walk down into the village of Jaun offers views of the Gastlosen mountain chain. Once you arrive in the village, take the time to visit the new church and the sculpted crosses in the cemetery. Rejoin the route, which takes you to the old church (Cantorama) and the impressive waterfall. Once you have crossed the Jogne River, the path climbs up through the forest to the Gross Rügli pasture at point 1347. It then runs along a stream to the Roter Sattel and goes round the summit of the Brendelspitz. 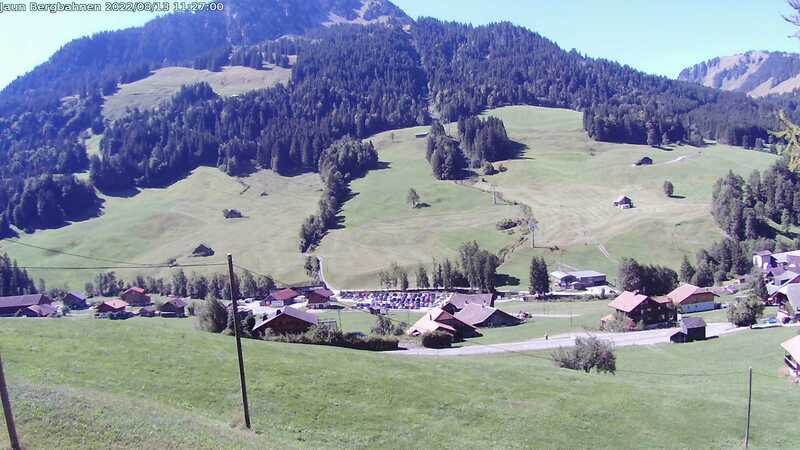 A final climb takes you to the highest point on the walk, at 1,804 metres, with a breath-taking panoramic view over the Petit Mont valley and the Gastlosen. The path then heads back down to the Chalet du Soldat. Tip: do not miss the waterfall and the sculptures of the Jaun cementary. Jaun: Public transport TPF (no. 246), stop: Jaun, Dorf. Part of the route, from the Chalet du Soldat to Jaun, can be done using the cableways.